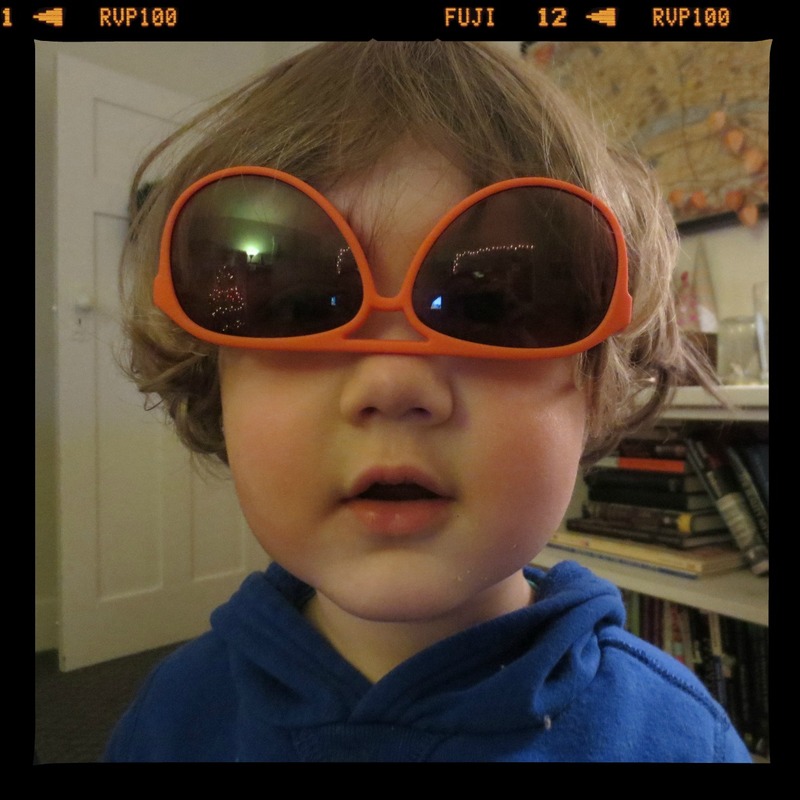 As he nears his third birthday, Thomas`s vocabulary, which was already pretty vast, has exploded and started to include really weird, yet oddly well placed, phrases. I know everyone thinks that their child is the smartest and most hilarious and I am no different, except that mine actually is the smartest and most hilarious. And also the cutest. We had him tested for all three things at a very expensive institute in Sweden (the very cutting edge for child superiority) and then we had the test verified at Harvard and then we, well he, won all sorts of awards and scholarships. I don`t want to go on about it because it`s not fair for all the other kids and parents and don`t even think of asking me for the names of the Swedish institute and the awards and such because, like I said, I don`t want to go on about it. The proof, as they say, is in the pudding…..
Wandering into the living room, Thomas asks “Hey, does anyone like my glasses?” Note: only he and I were present. Thomas (strolling into the kitchen): Mum? What is elementé? Me: I`m not sure what that means. Who said it? Thomas: I just made it up. What does it mean though? Me: Anything you want it to, I guess. While we were driving to the grocery store and he was in the back playing (happily I thought) with a truck, he exclaimed “I`m in the depths of despair.” We had him repeat it several times to make sure we were hearing right. We were. He was in the depths of despair back there, for reasons that are still unknown to us. As we were leaving Bloedel Conservatory (a bird sanctuary) today, he left the birds with some valuable advice, shouting it over my shoulder as we walked out. “Goodbye! Be good guys! Don`t poo in your pants! Just drink your milk!” That is precisely what I tell Andrew everyday as he leaves for work so I guess he got that from me. Bill Cosby was right. About the kids and the darndest things. Categories: family, funny, Kids | Tags: Bloedel Floral Conservatory, family, kids | Permalink.